If you’re an Android power typist, you’ve likely already noticed some changes to Swiftkey today. The Microsoft-owned predictive text pioneer just released an update to its keyboard app that brings a fresh new design and a trio of easily accessible features intended to make your typing faster, smoother and more secure. When you tap the tiny hamburger button to the left of the text row, you’ll enter Swiftkey’s refreshed hub, where you can still adjust the keyboard’s appearance, size and layout. But along with the tweaked interface there are a few new tricks inside as well. 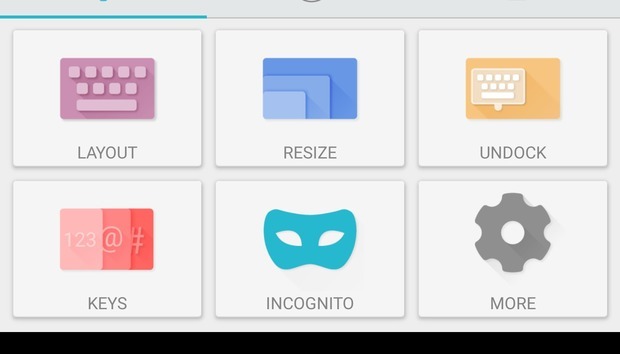 On the main settings screen you’ll see an Incognito button, which will temporarily stop Swiftkey from collecting and analyzing the things you type. There’s also a new clipboard menu that lets you manage and edit stored bits of text. It’s sort of like a stripped-down version of Text Expander, where you can pin phrases that you’ll be typing often during a writing session or set shortcuts for commonly used snippets and lengthy phrases. Elsewhere, Swiftkey has made the hub easier to navigate and nicer to look at. There’s support for five new languages—Tibetan, Swiss German, Yakut, Low German and Kurdish—and a handy new feature for Hindi and Gujarati typists as well. Dubbed Transliteration, the feature helps multilingual writers who otherwise need to constantly switch between languages. When you type the phonetic pronunciation of the Hindi or Gujarati word, the predictive text bar will show an option for how it should be written with its native characters. The impact on you at home: Swiftkey is one of the most popular keyboards in the Play Store, and the features it has implemented with this update will benefit casual and power users alike, especially those with an eye on privacy. The idea of a keyboard keeping such a close watch on everything you type has always been anathema to some users, and Microsoft clearly understands their concerns, positioning Swiftkey as an alternative to Google’s full-court data press.